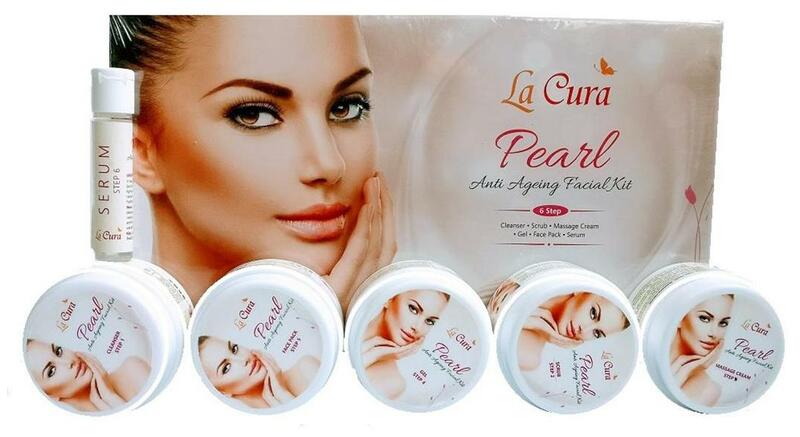 Pearl Anti Ageing Facial Kit Research has revealed that pearls contain a combination of natural substances that help to improve the rejuvenation of the skin cells. Makes the skin firm, soft, smooth and young.HOW TO USE:Clean your face then spread an equal layer on your face sparing your eyes, mouth and lips. Remove with a smooth, lukewarm towel or rinse. For the best visible results for cleansing, toning and nourishing follow 6 step process of Cleanser, Scrub, Massage Cream, Gel, Pack & Serum as mentioned at the back side of the kit box.